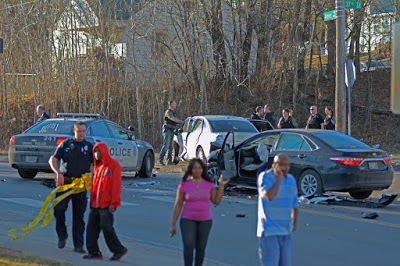 Four teenage carjacking suspects were arrested after causing a big Ames Avenue pileup. 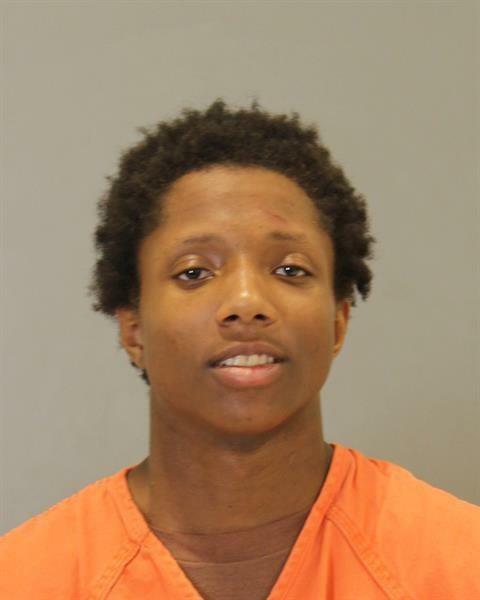 On Wednesday at about 1:00 p.m. Omaha Police responded to the Goodwill at 4805 North 72nd Street to investigate a carjacking. 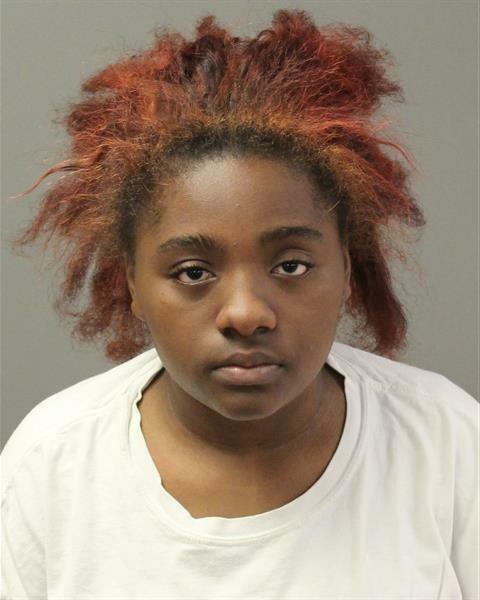 The victim told officers that she was approached by multiple young black males and Hispanic females who demanded the victim’s vehicle and threatened to shoot her. The suspects fled in the the victim’s white Mercury. Officers searching for the suspects did not initially locate the Mercury, but they located a maroon Chevy Malibu abandoned in a nearby McDonald’s parking lot that had been taken during a carjacking in Ralston. Later in the afternoon officers observed the white Mercury near 52nd and Evans Street. Officers attempted to initiate a traffic stop, but the vehicle fled. Photos courtesy of Aksarbent Blog. 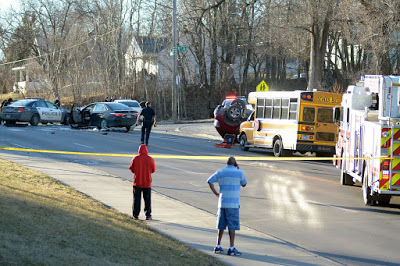 The vehicle drove through 37th and Ames Avenue colliding with other vehicles in the intersection. 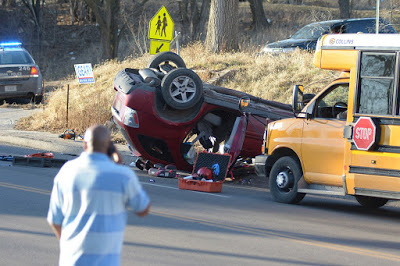 All four occupants in the Mercury were taken into custody after the accident and were transported to CHI Creighton University Medical Center for treatment. Drivers and occupants of the other vehicles also sustained injury and were transported to CHI Creighton and Nebraska Medicine. A total of four ambulances responded to the scene. Three of the suspects were released from the hospital and transported to OPD Central Headquarters for questioning. The fourth suspect remains in the hospital with non-life threatening injuries. 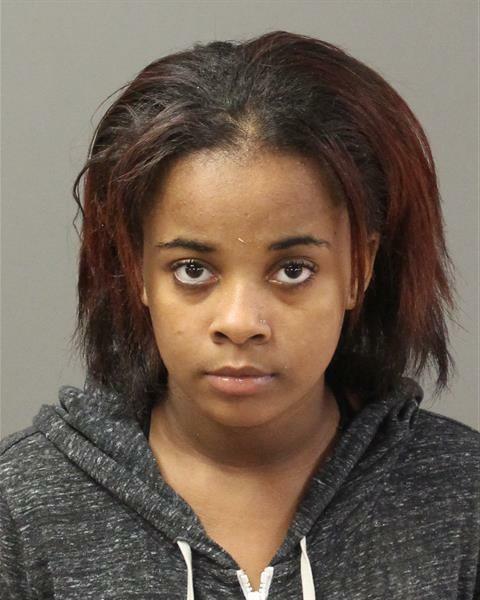 18 year old Leaudrye Scott charged with robbery, attempted robbery and felony flight to avoid arrest.